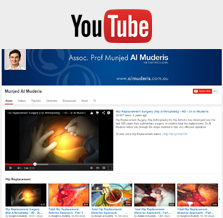 Repair of ankle and elbow fractures are also common surgical procedures performed by A/Prof Al Muderis. Ankle fractures are one of the most common injuries across all age groups. The current recommendation is to treat a displaced fracture with surgical intervention. Elbow fractures are commonly a result of twisting injuries or from falling directly onto the elbow. These sorts of fractures are most common among children and also treated with surgical intervention.